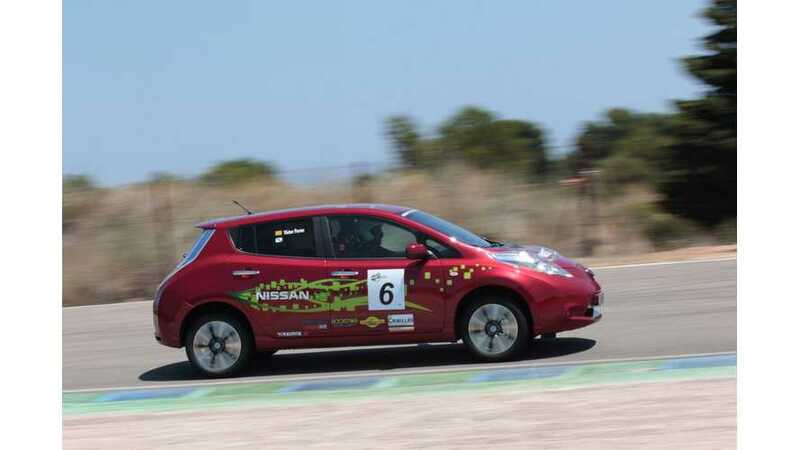 Nissan recently announced that its Barcelona Technical Centre employees attended a new concept in motorsport: ECOseries "which rewards efficiency and fuel economy rather than outright speed". 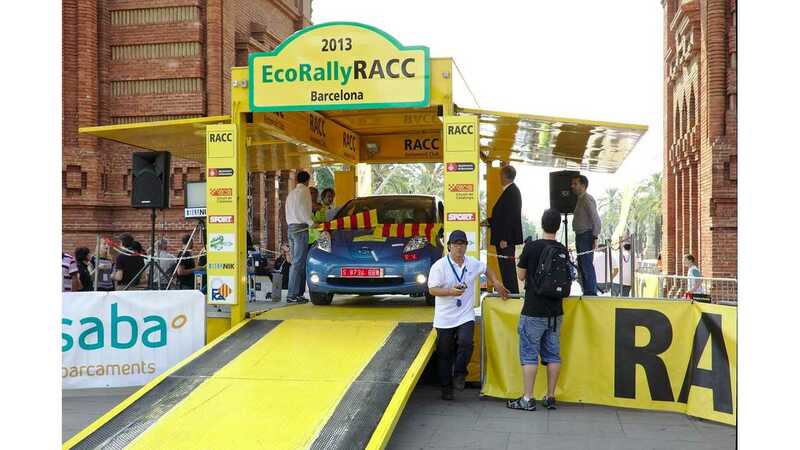 "ECOseries, which is based in Spain and combines track and road-rally events over the season, attracts entries from a wide variety of road cars. Aside from the Nissan team, there are cars from rival manufacturers including Peugeot, Toyota, Volkswagen, Porsche and Mercedes-Benz." Events are open to all types of road vehicles and to anyone with a driving license. The races are split into two disciplines: efficiency (quickest vehicles win as long as it's used less fuel than maximum consumption set in the rules for its class) and regularity (drivers decide on a lap time and then must be as close to target as possible). Alongside ICE cars, Nissan issued three LEAFs for the hour-long races at the track. There's nothing newsworthy here until we see one sentence on a LEAF prototype equipped with 48-kWh battery pack. 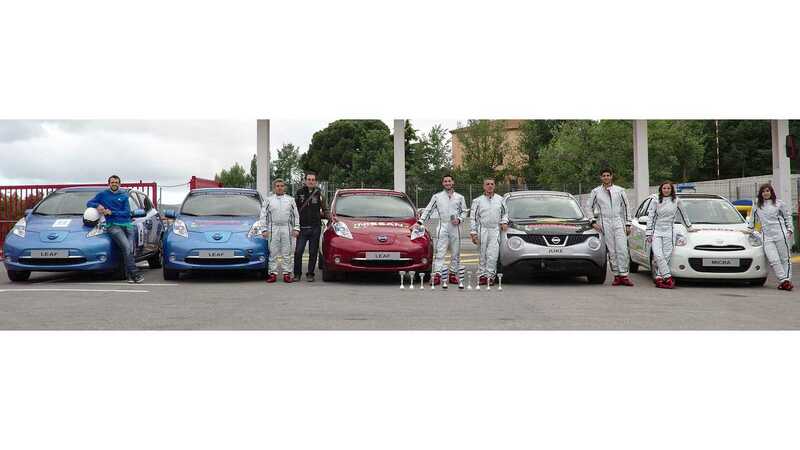 "In the EV category, the Nissan LEAFs and a Mercedes A-Class E-Cell have been fighting for outright honours. Although two of the team's three LEAFs are essentially standard, a third was introduced as a mobile test lab, running in the series' EV prototype category. For the final race, its battery pack was doubled in size to take battery performance to 48kWh and allowing it to perform on more equal terms with the 36kWh Mercedes." Mercedes won in regularity discipline, but having a 48-kWh LEAF prototype may indicate that Nissan is thinking of increasing energy and range of future LEAF versions. 48 kWh is more than we'd expect to see in a production version, but this testing at least shows us that Nissan has thoughts of more capacity on its mind. We do wish that Nissan provided an image of where all this extra capacity fits in the LEAF, but sadly Nissan did not.